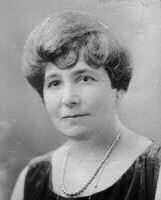 Born 1864 to Lizzie Thorman Hays and Kaufman Hays. A member of the board of the old Cleveland General Hospital, now Huron Road Hospital, and also was a past president of the Council of Jewish Women and the first president of the Temple Women’s Association. 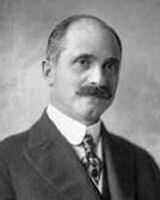 Born in New York City, brought to Cleveland in 1872 by his father Moritz Joseph who is credited with building the Joseph & Feiss Company. Joined the firm of Koch, Goldsmith, Joseph & Co.
Vice President of Joseph & Feiss Co. He was a member of the citizen’s group which brought symphony orchestras here before the city had its own orchestra. Active in the Musical Arts Association and in the Friends of the Orchestra. He was also the patron of many students seeking a musical education. Ralph (next page), Edith and Doris.